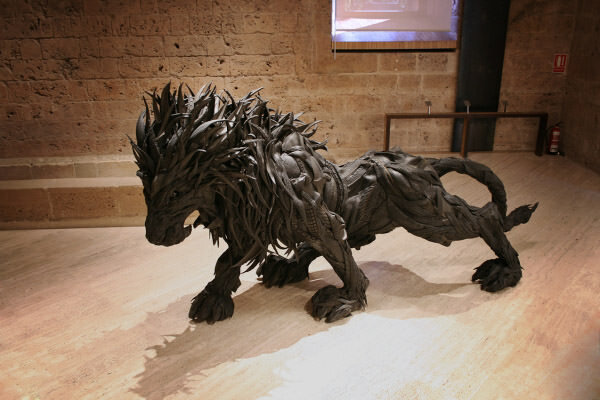 Ever shocked by the beauty of toilet paper rolls, or saw the chicken formed by the egg shells, or witnessed coolest lion made by tires? 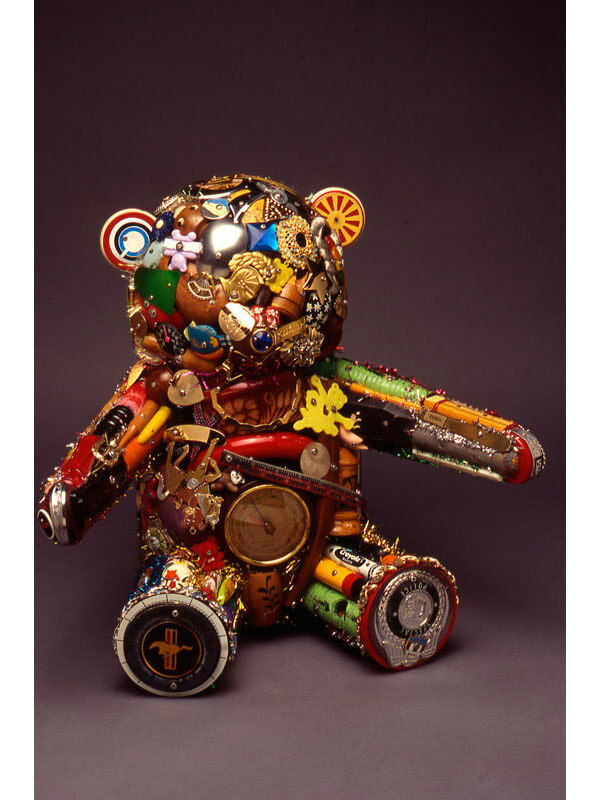 Heck, all of them are even made by common things you discarded every day, and they are known as recycled art. 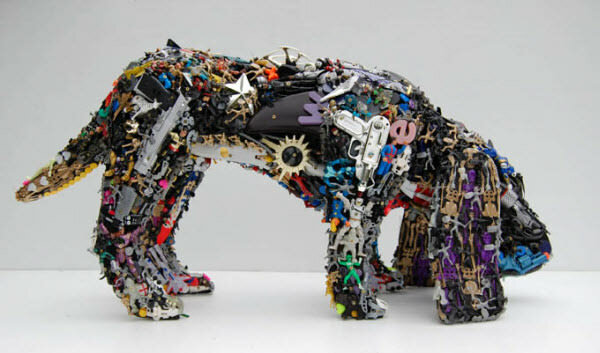 Recycled art is not something that’s beautiful but just a waste of time and space. 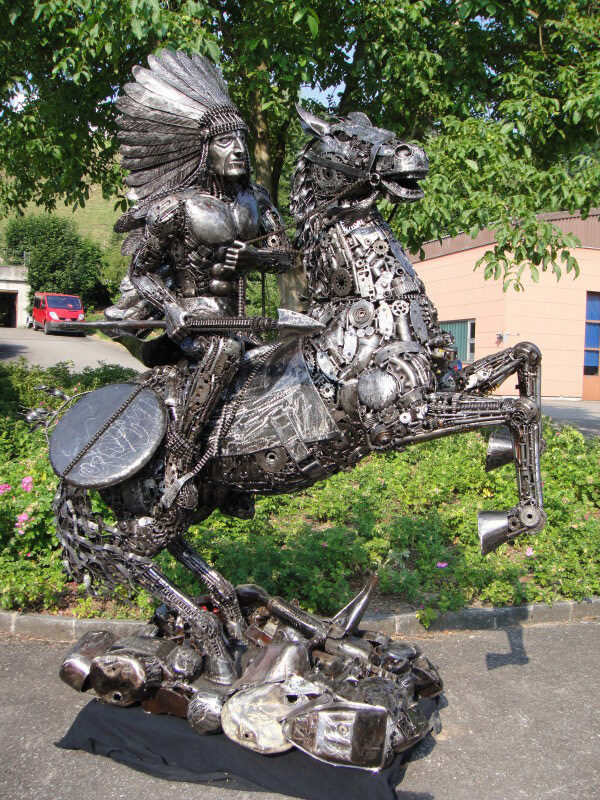 It’s like alchemy which turns base metal into gold, except that it turns trashes into gold. 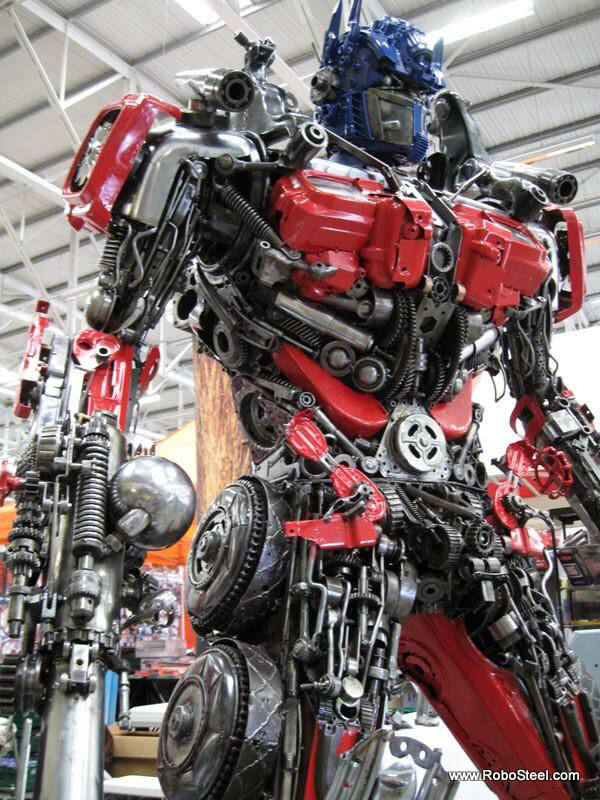 Take recycled Optimus Prime with 2.5 meters tall as example, it was sold with 7800 U.S. dollars, sounds like a good price for a combination of metals which were originally treated as trashes. 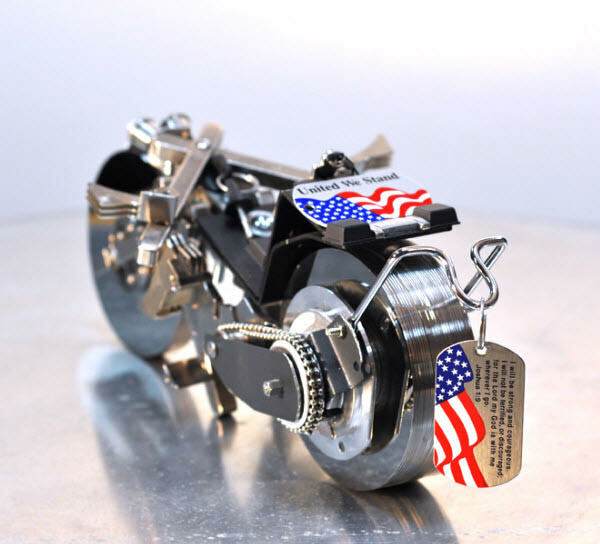 Are they really that beautiful and worth the purchase? 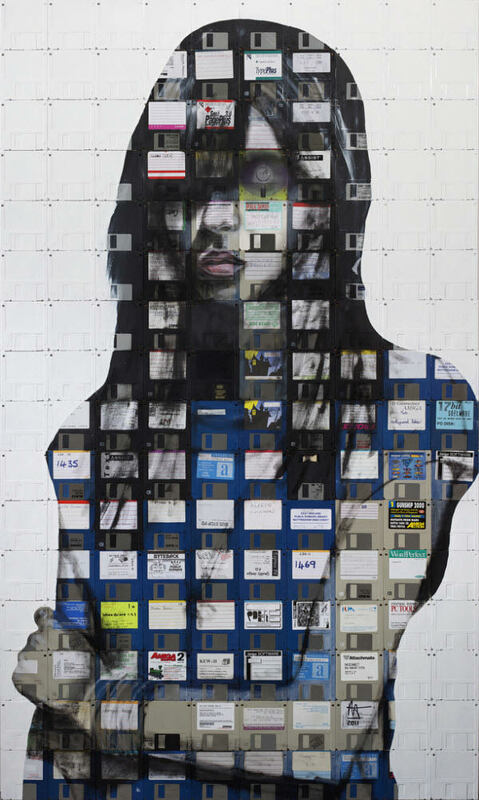 You can figure out the answer with 68 jaw-dropping recycled arts showcased in this post, which include items I mentioned above and other stunning work as well like Michael Jackson’s portrait formed by cassette tape, robot constructed by hard disks, paintings made on diskette, anything you never think of! 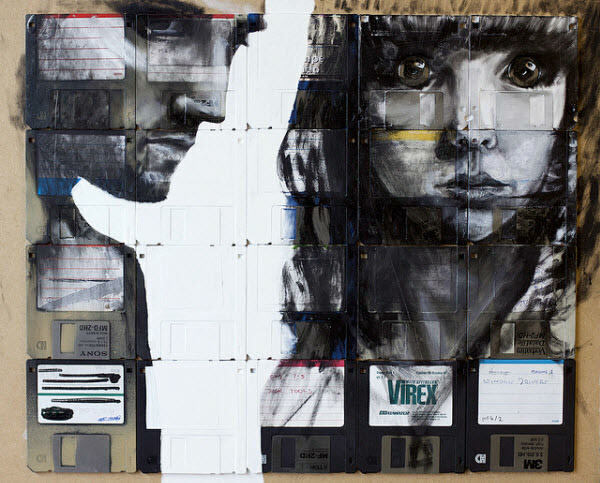 And for the first time, you will be amazed by the beauty of reformed trashes. 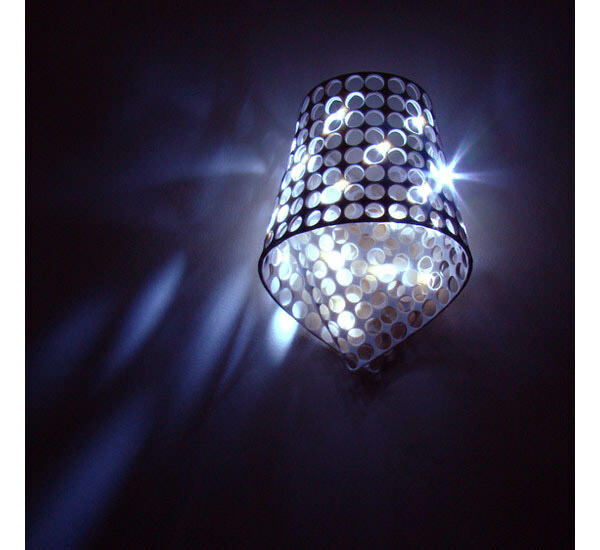 Workshop Hapax excels in creating gorgeous and unique products by using discarded materials provided by their clients. 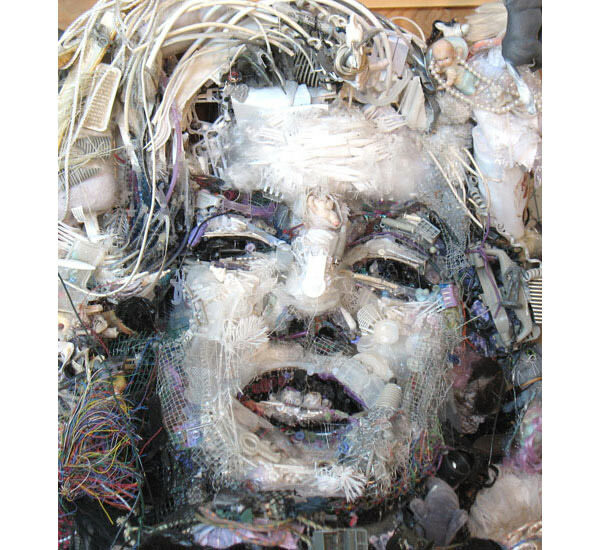 As most artists do, they break down those pre-existing materials, reinterpret them then offer them a new form with new purpose, thus forming never seen before recycled art. 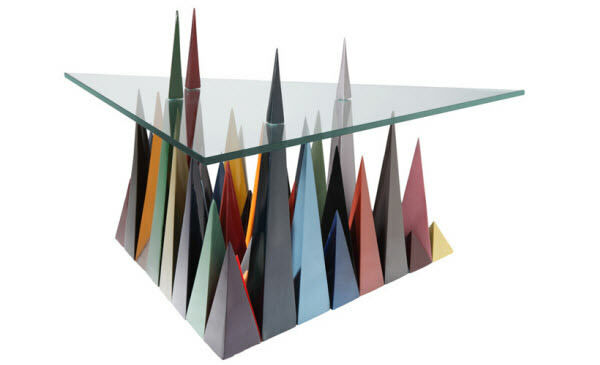 ‘BRC’ stands for Benjamin Rollins Caldwell, founder of the BRC Designs who reforms timeless and unconventional materials into simple yet unique furniture which design surpasses most expensive furniture. 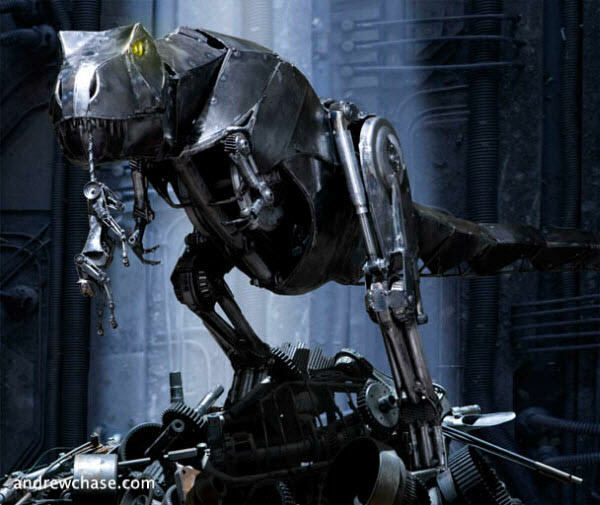 Andrew Chase by the Chase studio is a photographer and one of the few artists who has the talent to form an epic dinosaur with mere metals. 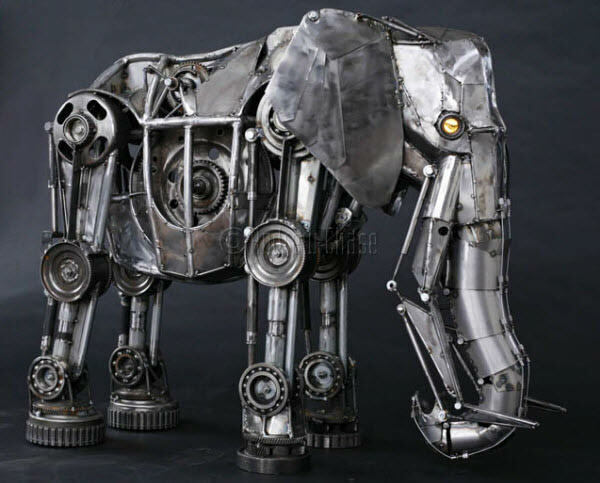 His metal sculptures also include elephant, cheetah, bear, etc. 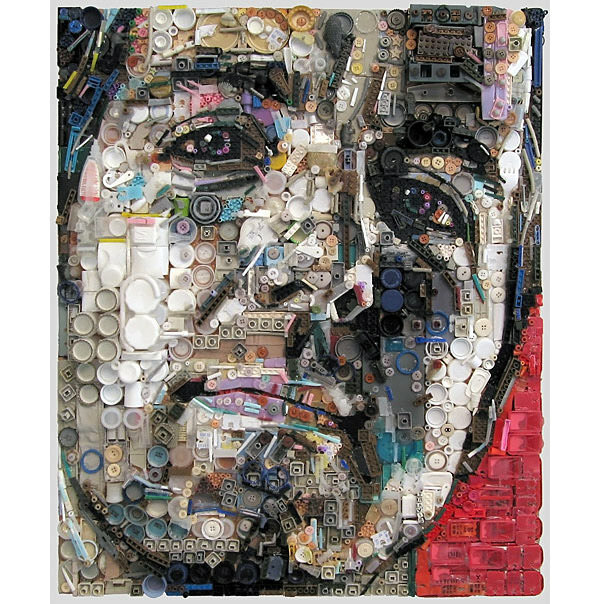 Derek has achieved national attention for his collage portrait series, recycling magazines, labels and found materials to create works on canvas. 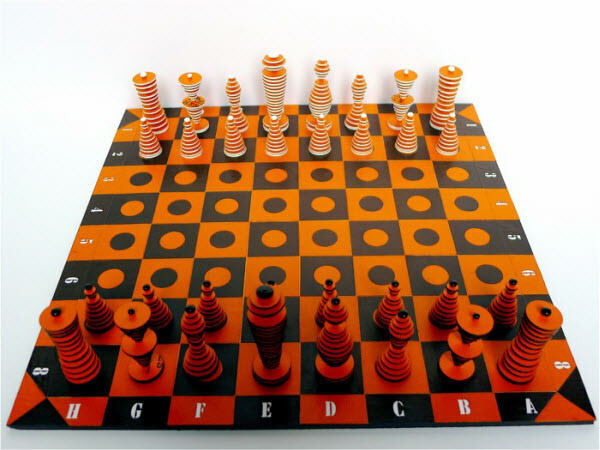 Those series has showed his interest in the natural beauty of figure and the fearless attitude of play. 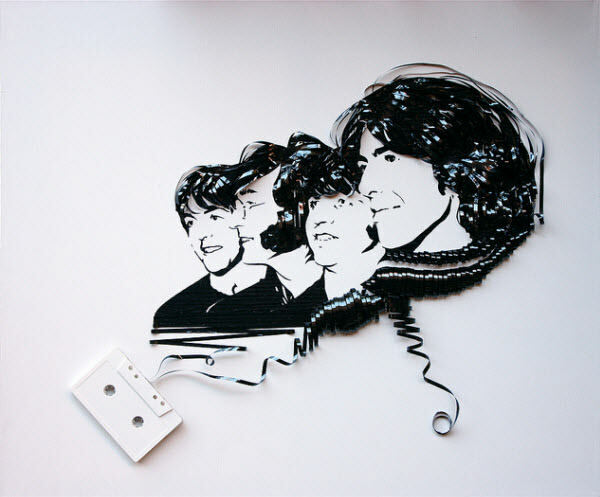 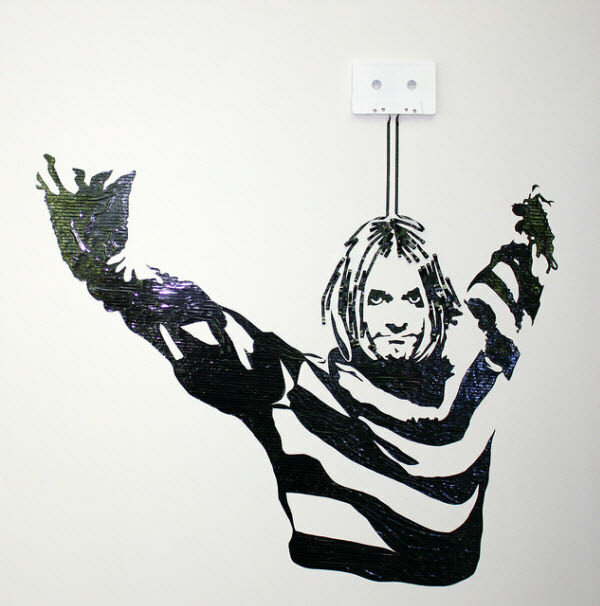 A.k.a Iri5, Erika Iris Simmons specializes in using non traditional media like cassettes to create absolutely unique and memorable works that feature famous people or team like Kurt Cobain, Beatles and Michael Jackson. 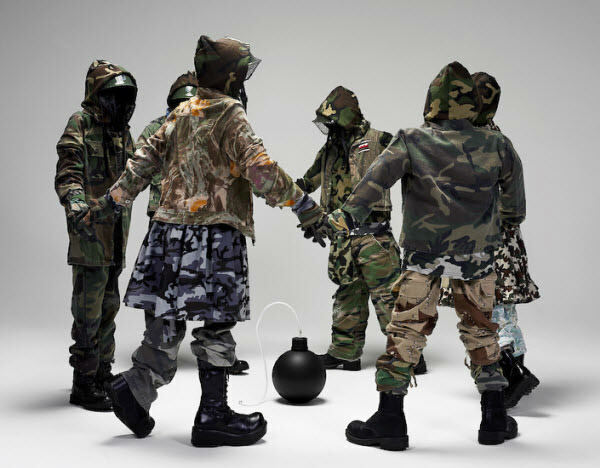 Guerra de la Paz is the composite name that represents the creative team efforts of Cuban artists, Alain Guerra and Neraldo de la Paz, who have been collaborated since 1996. 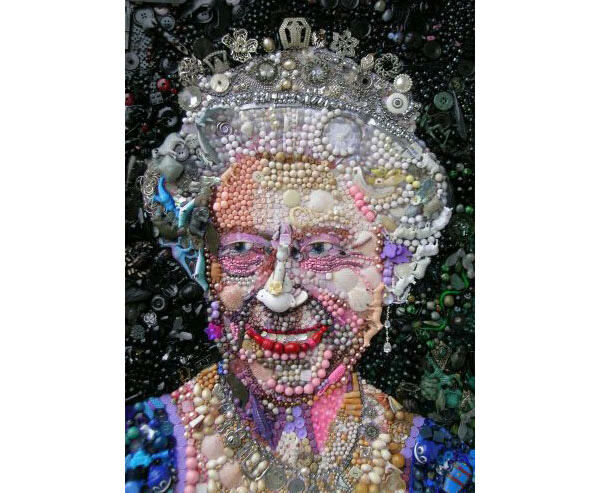 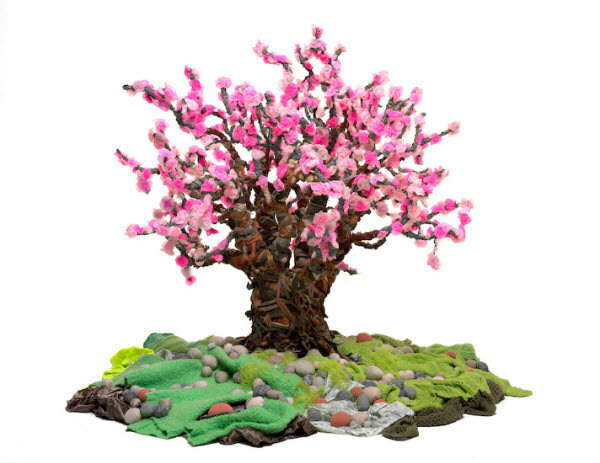 Gaining access to an overabundance of discarded clothing, they used clothes as their main unconventional materials to produce a series of beautiful and inspiring recycled art which are shown below. 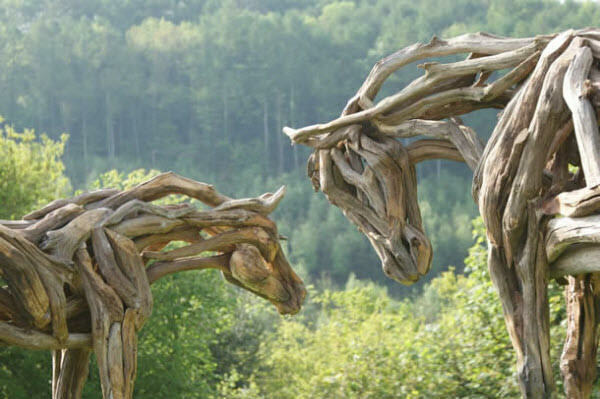 Her name is Heather Jansch, and her passion lies within drawing and horses. 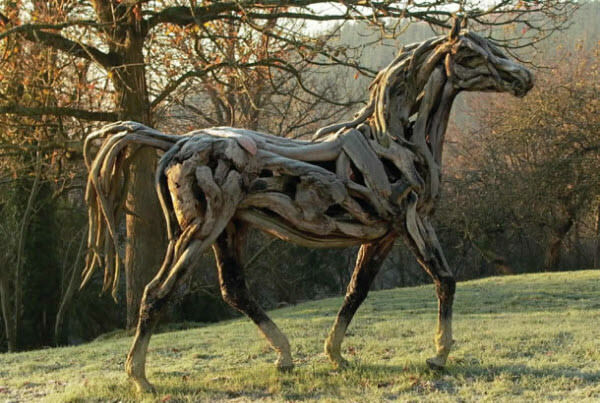 Heather Jansch was told to leave college’s course with the reason that she did not have the talent of being a painter. 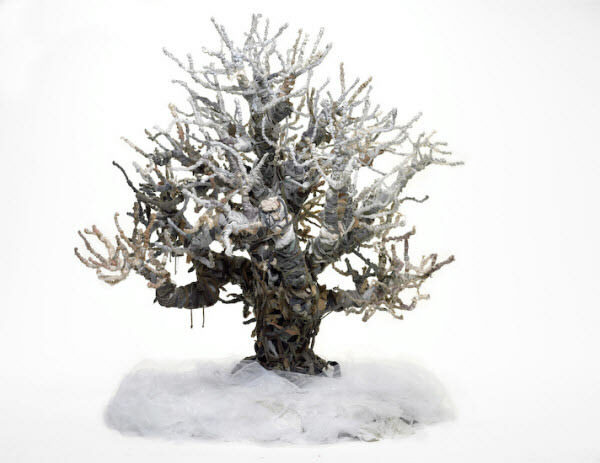 But then, she decided to pursue what she loves and finally came out with driftwood horses below which looks like they are living things with feeling! 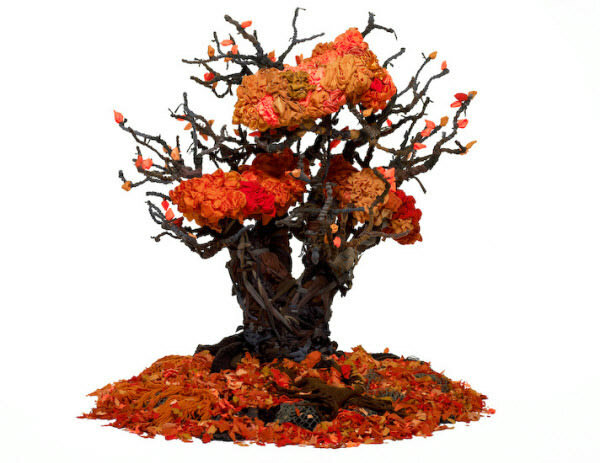 Based in Brighton, Kyle Bean specializes in hand crafted models, set design and art direction. 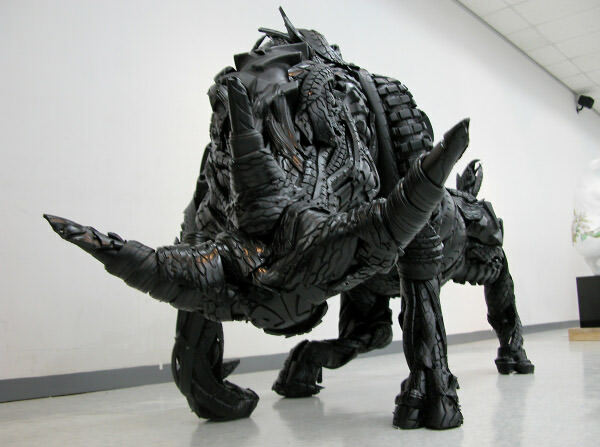 Since his graduation in 2009, he has worked across a variety of platforms which include installations, window displays, editorial and advertising. 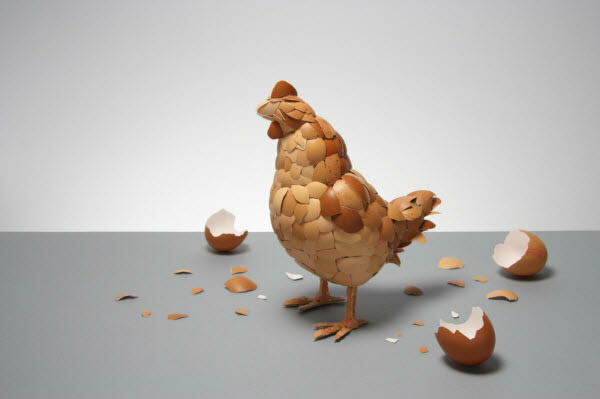 His works, such as What Came First showcased below has really showed his unusual creativity. 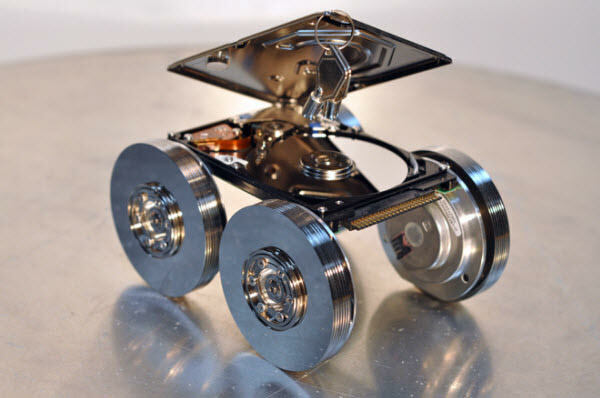 Ever imagined that your boring hard drive can be very cool too? 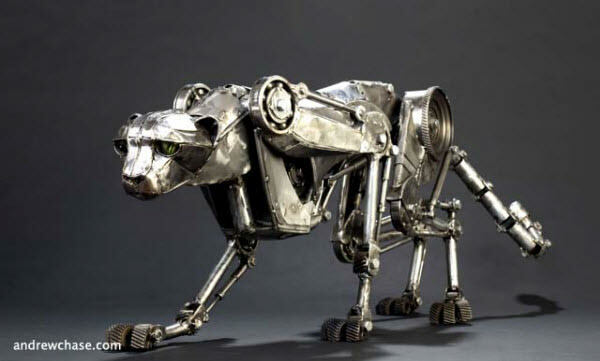 Rivera has done it by combining hard drives and spare parts to form sensational bike, car and even robot. 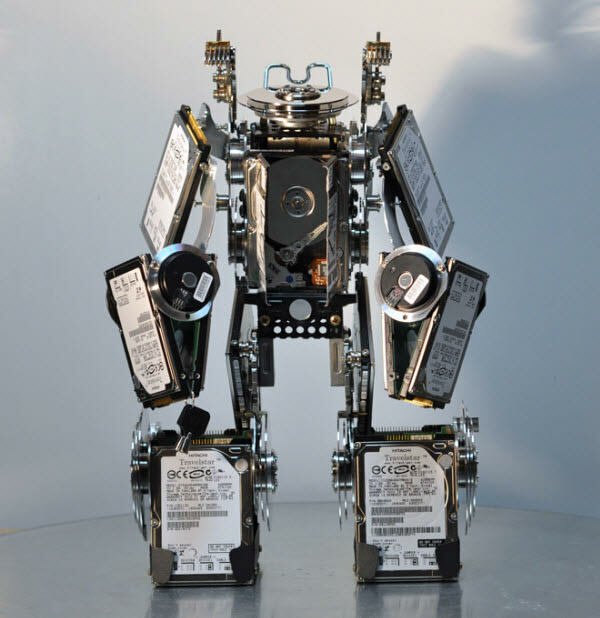 He wishes to show to others of what are hard drives look like in creative way, and he has done it very well. 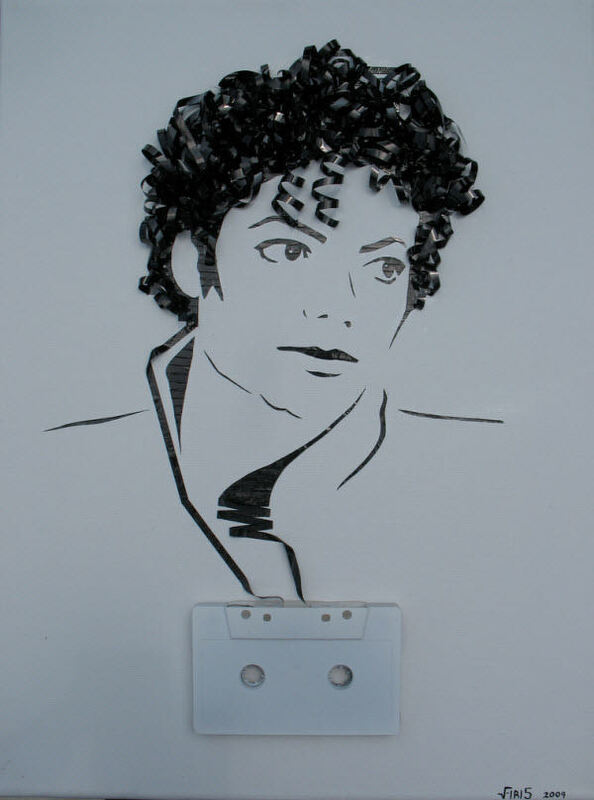 Leo has developed his own art style over the last 50 years. 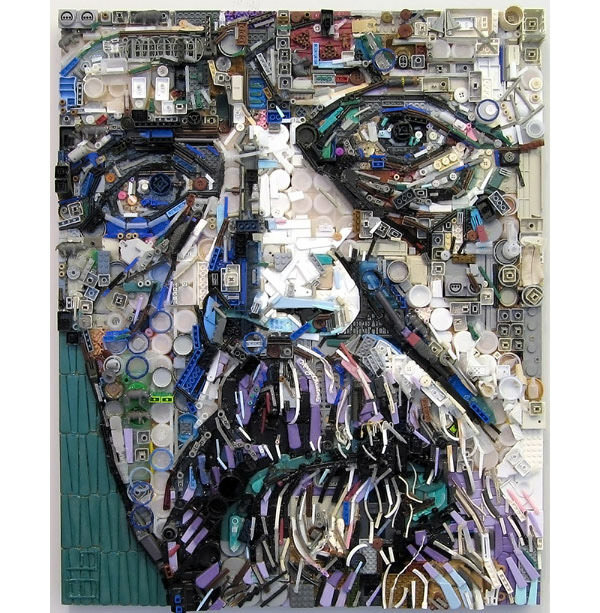 His notable works are mostly composed by charming plastic objects, metals and woods and were collected by corporations, museums and individuals all over the world. 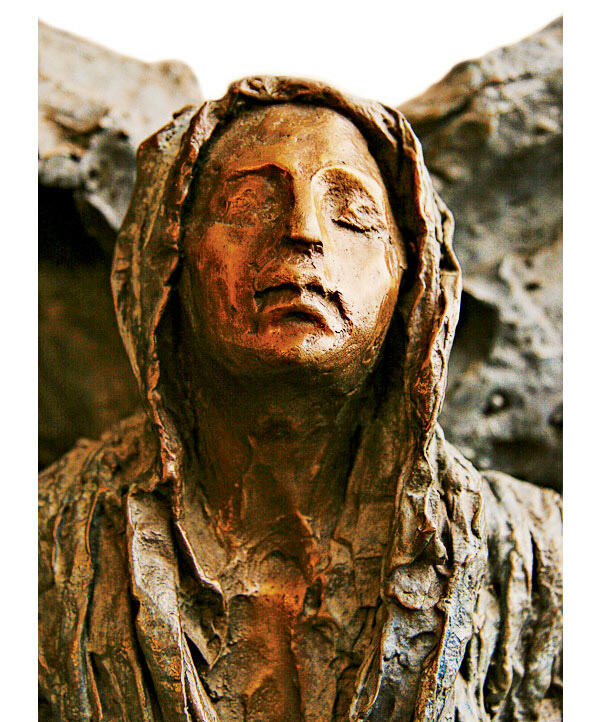 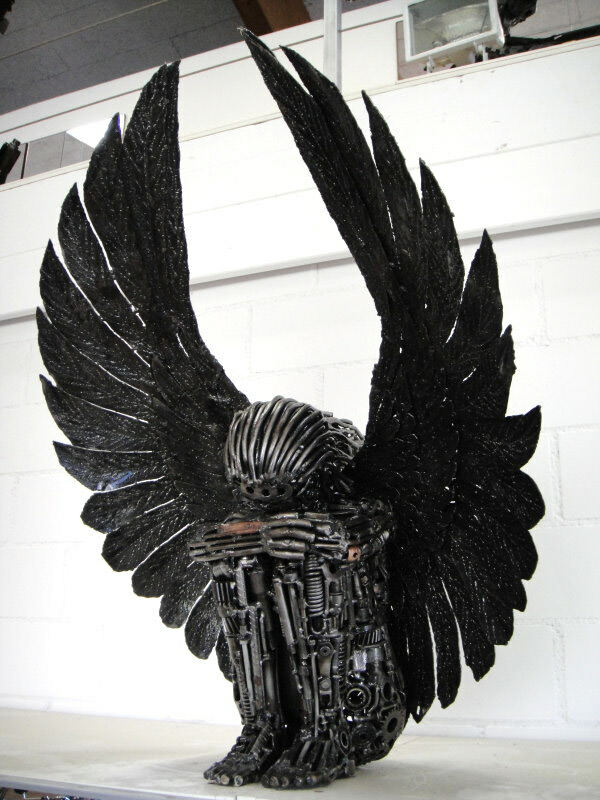 Best known for her sculpture Renaissance Peace Angel which is showcased below, Lin Evola-Smidt creates her works with a single purpose, to promote world peace. 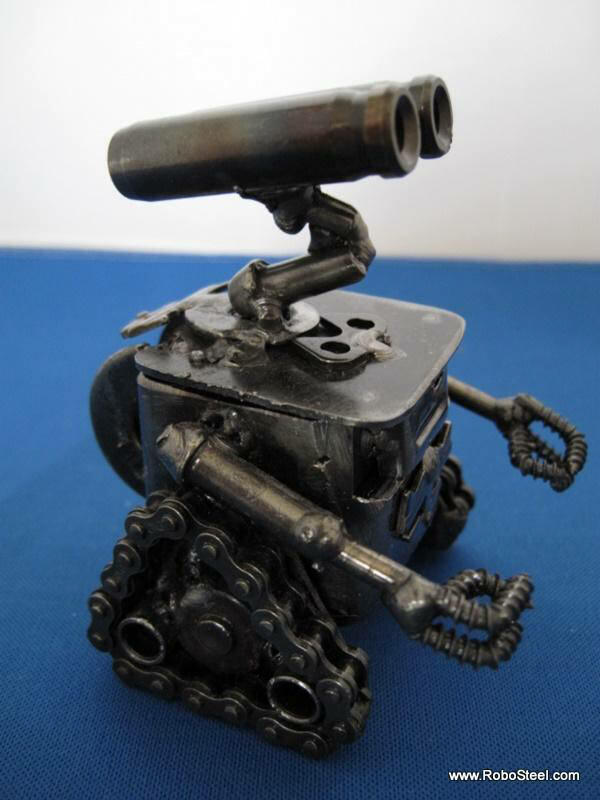 Creation process of her works involves melting down weapons and reform them into art that shows gracefulness and peacefulness. 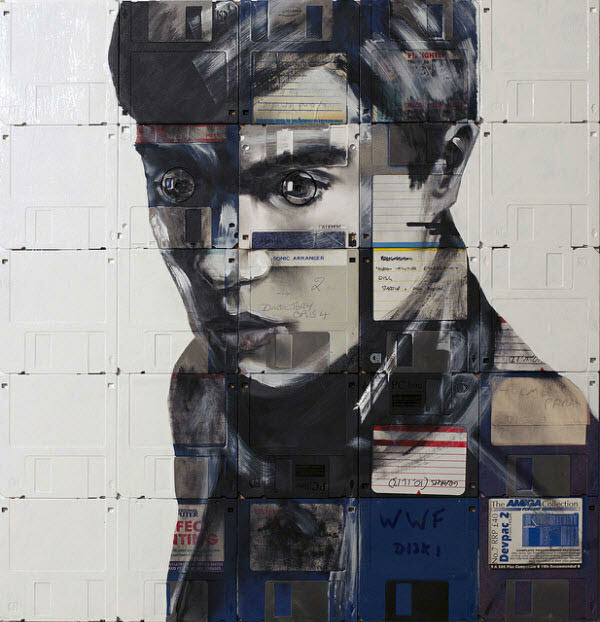 I was never a big fan of floppy disk but Nick Gentry has changed my mind with his sensational floppy disk paintings. 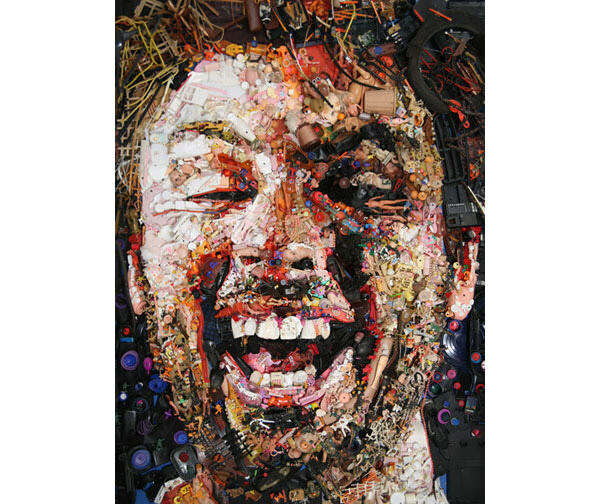 The most epic part of his painting is perhaps the shiny circular part of the disk which mostly represents the eyes of the painted character. 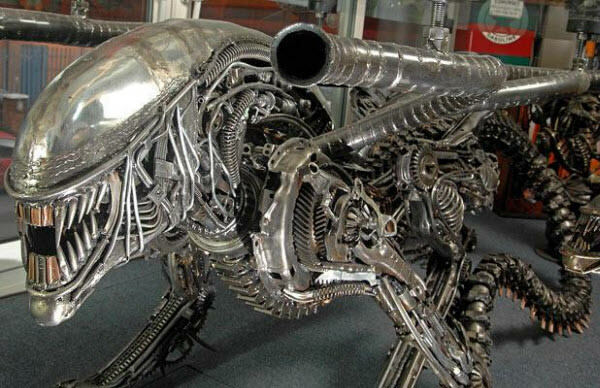 Recycle Art is the master of turning car/ motorcycle parts, screws and toothed wheels into extremely unique sculptures with terrifying quality. 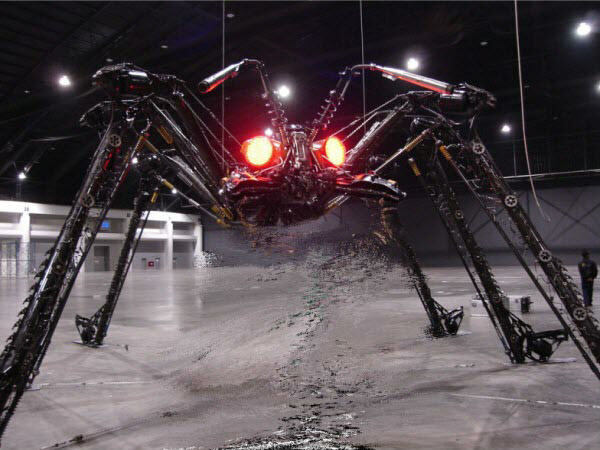 Their works are beyond epic, and can be used as either advertisement for your garage or absolute eye catcher in the club. 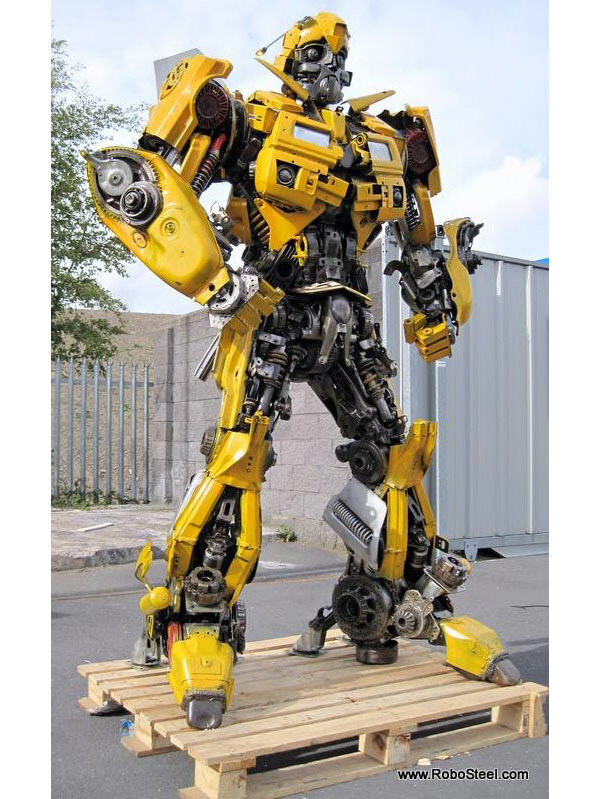 With steel as main material, Robosteel designs and creates handmade steel sculptures which includes movie character, earth’s life form, vehicle and custom commissioned work. 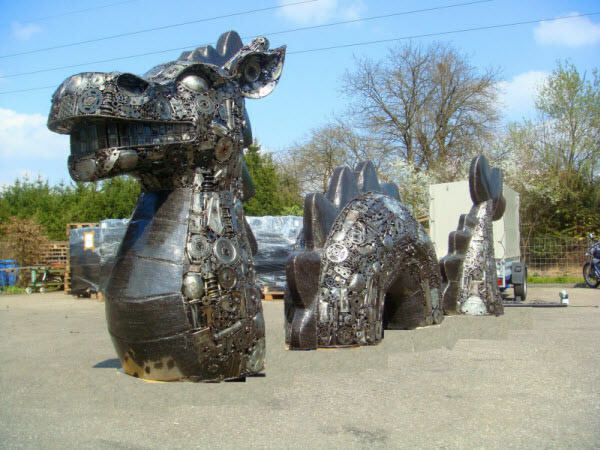 Despite steel, they also used small amounts of copper and ceramic material to create certain desired effect for their works. 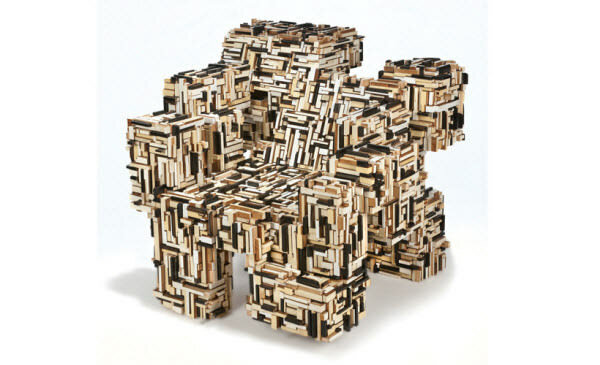 And yes, all their materials used in the work are recycled from cars, motorbikes and airplanes. 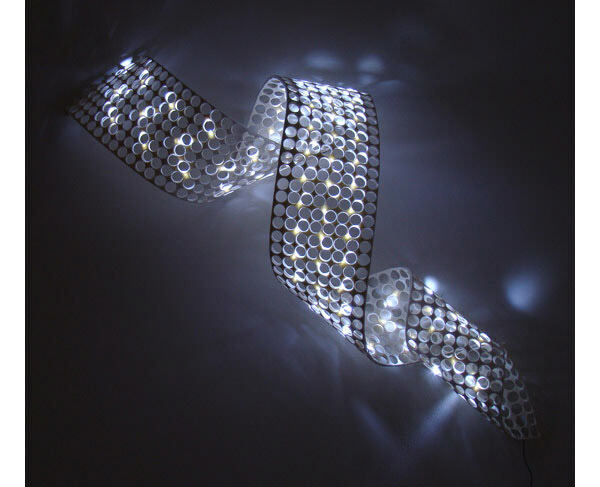 Scraps of felt + Old mobile phone’s battery charger + Circuit of 50 LED low-power = Ribbon of light with luxurious feel! 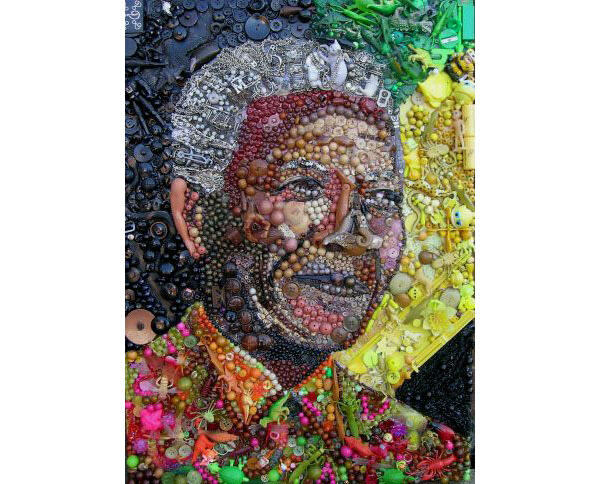 Credit to the creative creator Sara Bergando. 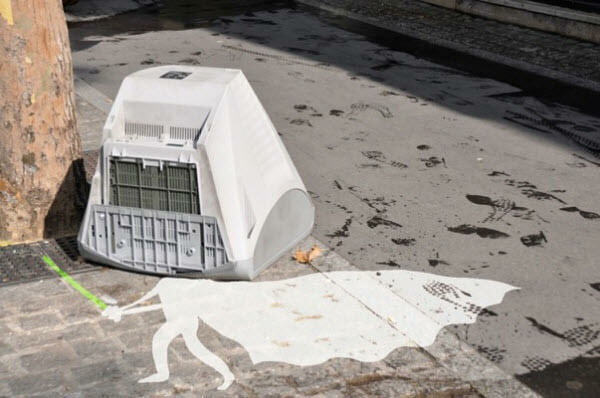 Artist Sandrine Estrade Boulet wants to tell you that you can live a funny and happy day with simple things in our world, and that’s how the White Vador was born. 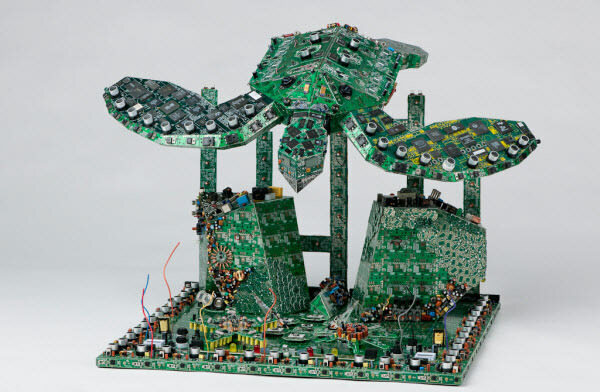 If you have love for circuit board, you should remember Steven Rodrig. 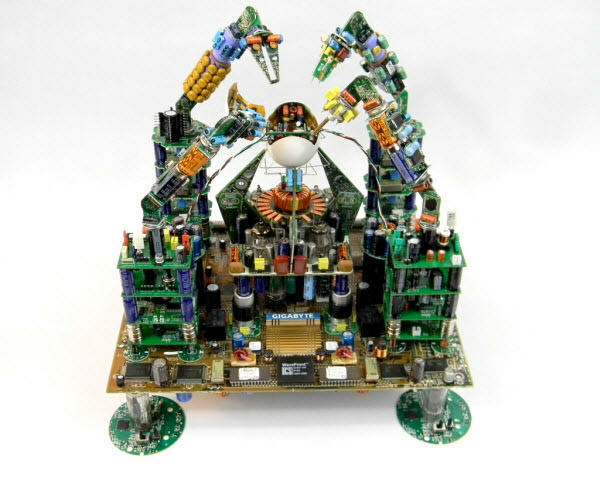 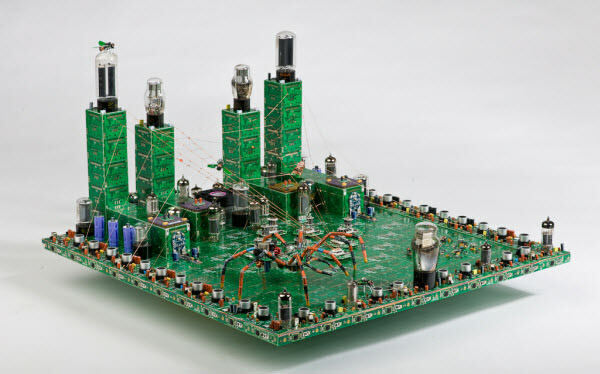 He’s an innovative artist who restructures discarded circuit boards and electronic parts to form extraordinary arts which are organic and mechanical at the same time. 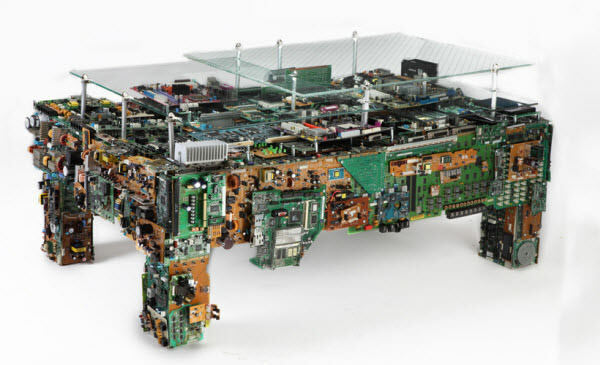 Without a doubt, he’s a professional geek. 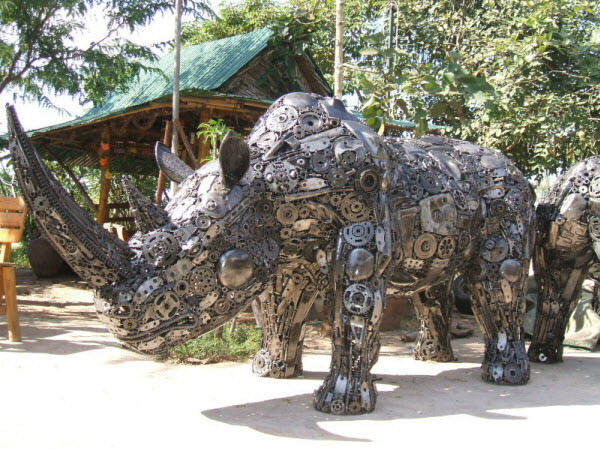 Terrence Willment works with manufacturers in Thailand to create impressive recycled work using abandoned car parts and sells them in event like showroom. 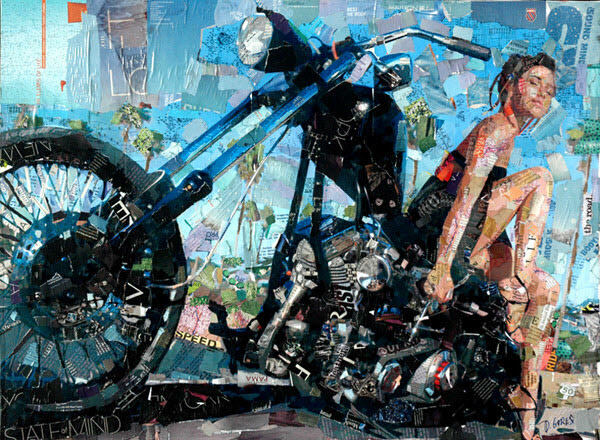 Tom Deininger is the master of collage art. 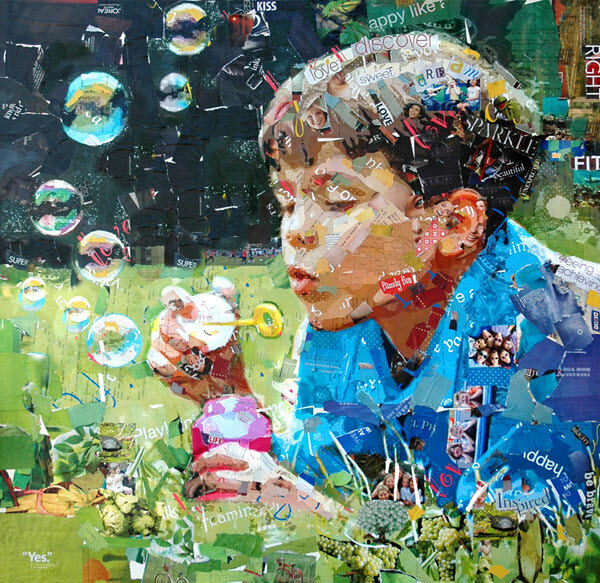 His collage works are not only beautiful, but makes you really think that how your discarded little items can form sensational art like his works. 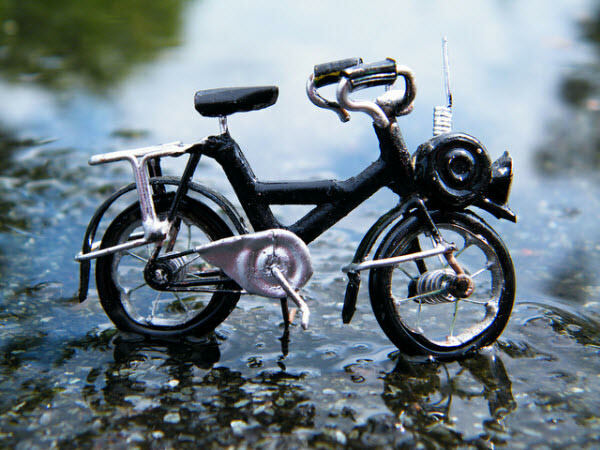 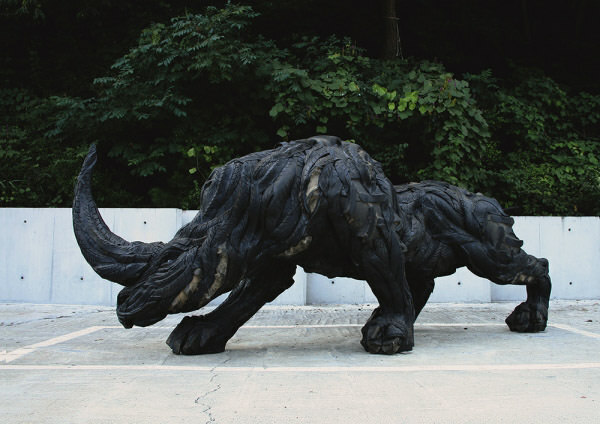 Yong Ho Ji is a Korean artist who utilizes used tires into recycled masterpieces. 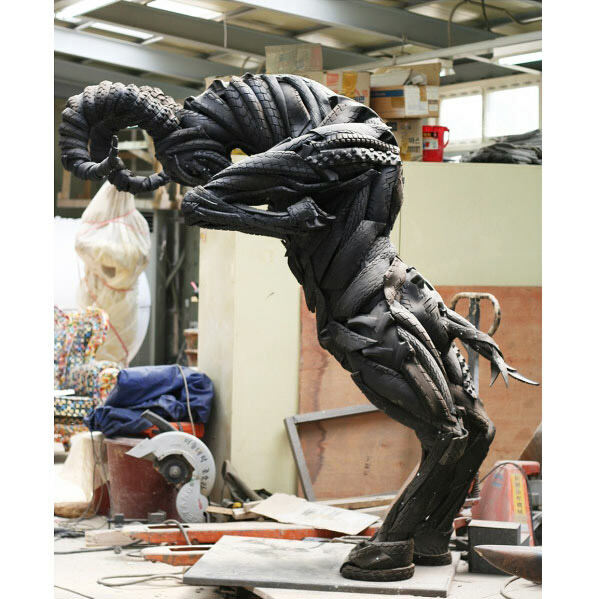 His productions are mostly in the form of animal which some of them are shown below, but he also creates cool mutants which are either combined by 2 animals or an animal and a human. 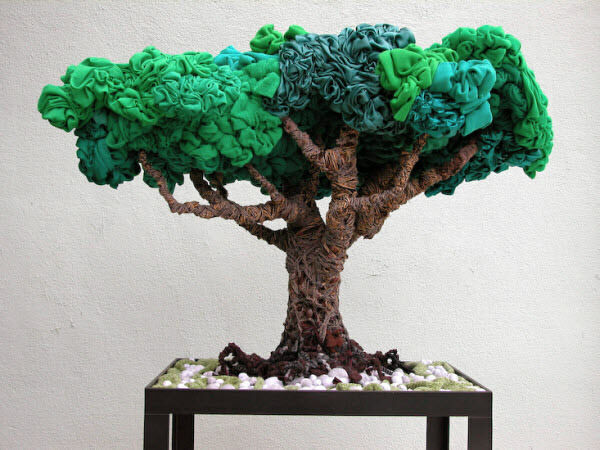 You probably need to change your view about toilet paper roll, as Yuken Teruya, an artist born in Okinawa, Japan has transformed them into art with immense beauty. 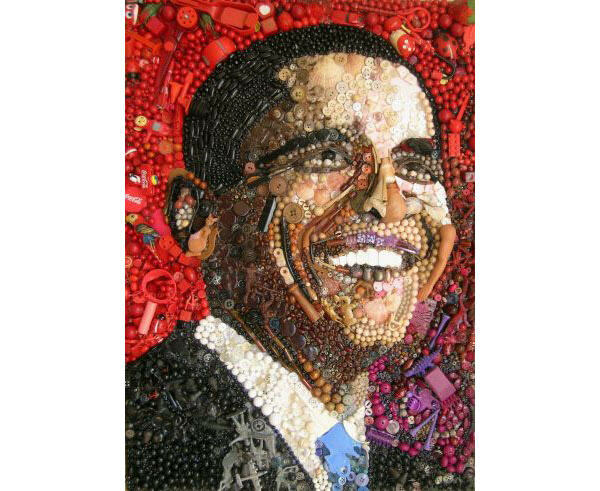 The artist is currently working from his studio in New York City. 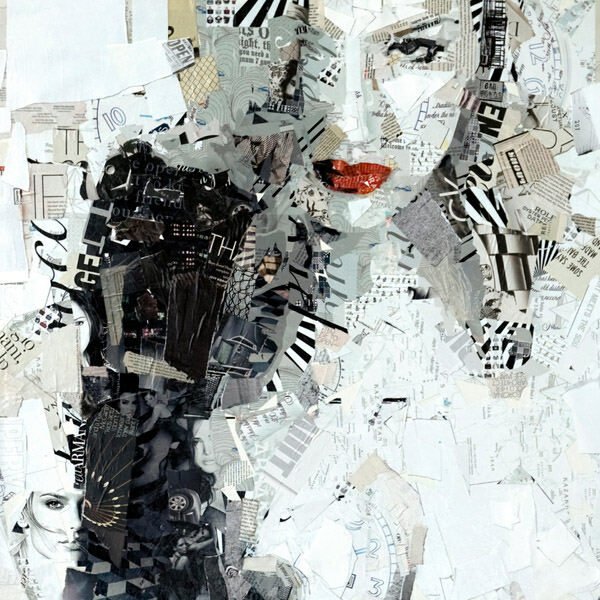 Similar to Tom Deininger, Zac Freeman is also a professional artist who excels in collage art. 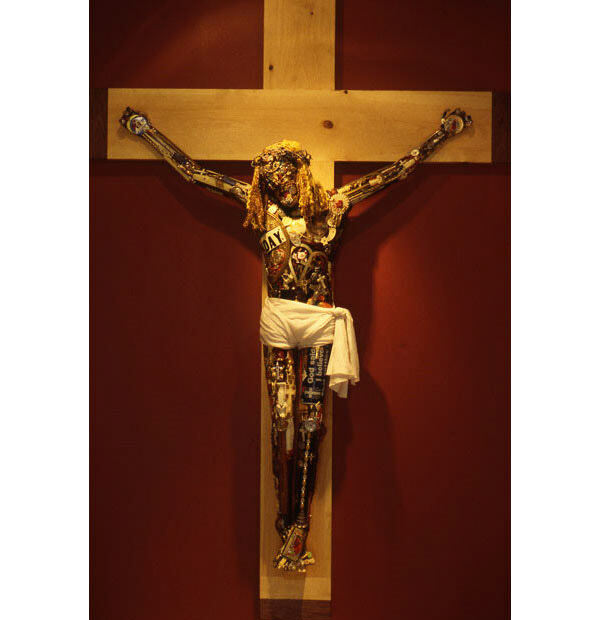 His works are greatly recognized, which brought him over 20 exhibitions in just 5 years. 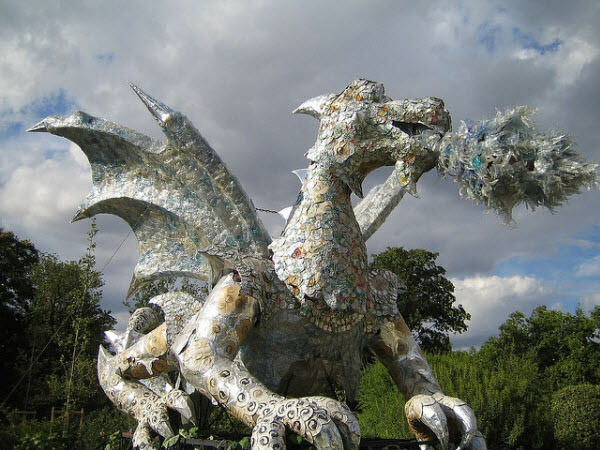 Recycled art is not only something entertains you or artist makes for living, it also presents to you a great lesson: do not underestimate the power of even trash. 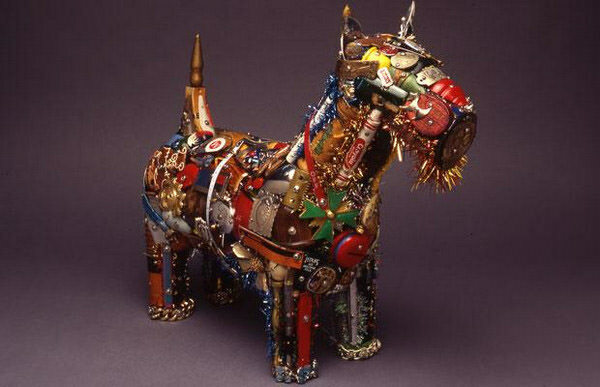 I think this is the true beauty of the recycled art, showing us that with belief and passion, even abandoned item can become one of the most beautiful art in the world. 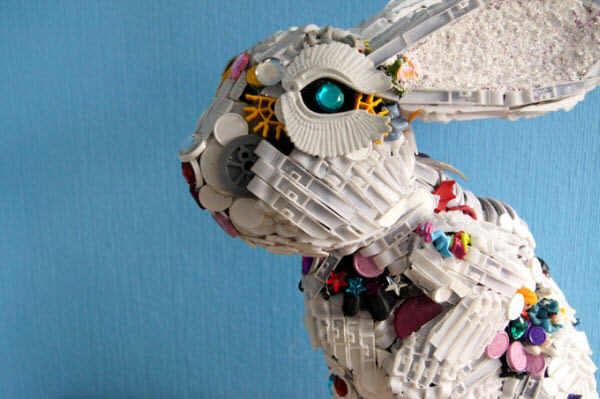 Did you make a recycled art before? 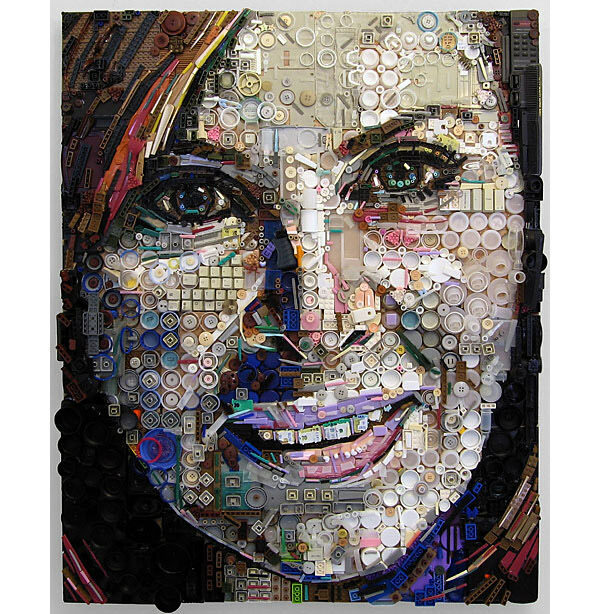 Please kindly share with us if you have one, and don’t forget to let us know which recycled art shocked you most!